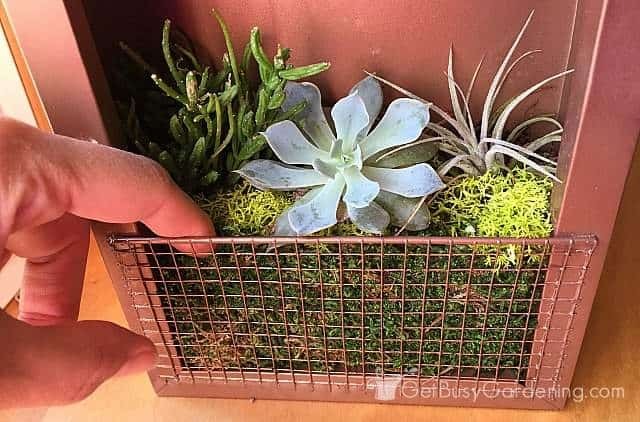 Growing living art is such a great way to add a unique touch to a fence or wall in the garden, or to bring life to your front door, patio or porch – heck you could even hang a succulent frame indoors. In this post, I’m going to show you exactly how to care for vertical succulent art. Succulent art is all the rage right now, and it’s one of my favorite trends! There’s no doubt that it’s a fun trend, but caring for succulents hanging on a wall has it’s challenges. Don’t worry, I’ve got you covered. Below I will show you exactly how to care for your succulent wall art. I love the idea of growing living art, but I don’t have time to make my own succulent frame right now. So when Jackson & Perkins reached out to me and asked me if I wanted to try growing one of their new succulent portraits, of course I said “heck yes!”. How could I resist? It’s adorable, and I really like the color combination of the small succulent plants that are growing in it. 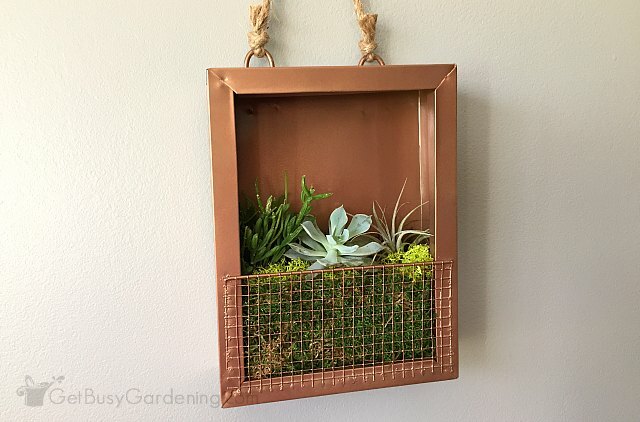 The best part about this piece of living wall art is that it was totally planted and ready to hang as soon as I took it out of the box, no assembly required! Easy peasy. 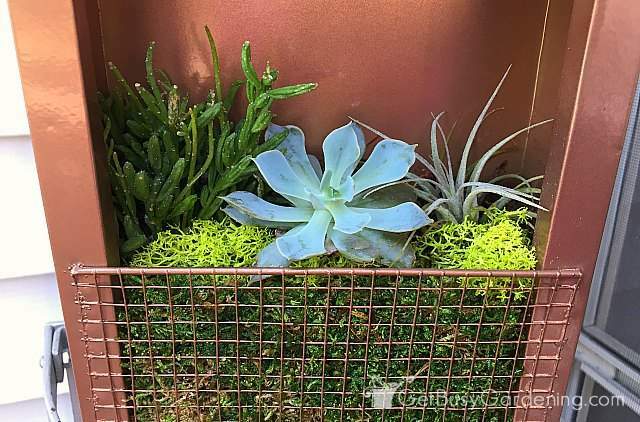 Succulents are the perfect choice for growing vertically in living pictures. Not only are they gorgeous, but they are easy to care for and don’t need much water. One of the coolest things about a succulent frame like this is that, not only does it make a very unique piece of art, but it’s a piece of art that will change over time. That’s half the fun of living art, it will be constantly growing and changing over time, so your succulent portrait will never stay the same for very long. Caring for a piece of succulent art is going to be a bit different than caring for succulent containers. There are a few things you’ll need to keep in mind when growing living wall art. Where’s the best place to hang it, how much light does it need, will it need to be fertilized… and how the heck do you water it? 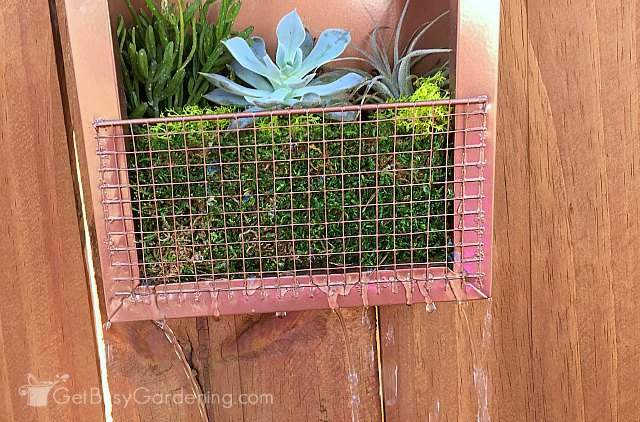 Below are my best tips for how to take care of succulents growing in a vertical frame. Succulent art is great for spicing up a boring wall in the garden, or hanging in a porch or patio. This succulent portrait would also work well hanging on a fence or even on the front door because it’s very lightweight. There are so many wonderful places you could display your living art, but you can’t just hang it anywhere. 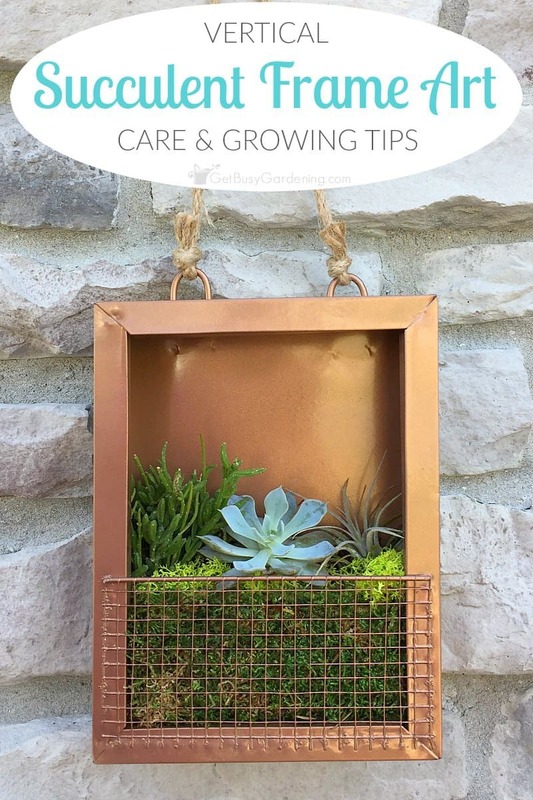 A few things to consider when looking for the perfect spot to hang your succulent frame are how much light it will receive every day, and also how much rainwater it will get when growing outdoors. 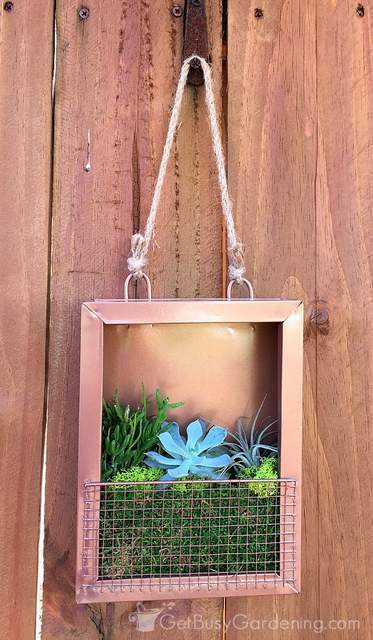 Succulents need a lot of light, so make sure to hang your succulent art in a spot where it will get plenty of sun. Keep in mind that a vertical succulent garden will dry out much faster than succulents in containers will. So, I would recommend hanging it in a spot that gets full sun in the morning and evening, but is protected from the intense afternoon sun. My succulent frame is made out of shiny metal, which is another reason to keep it out of the blazing hot afternoon sun. Also, if you decide to hang your art in a porch or on your front door, make sure there’s plenty of ventilation so it doesn’t get cooked under glass. 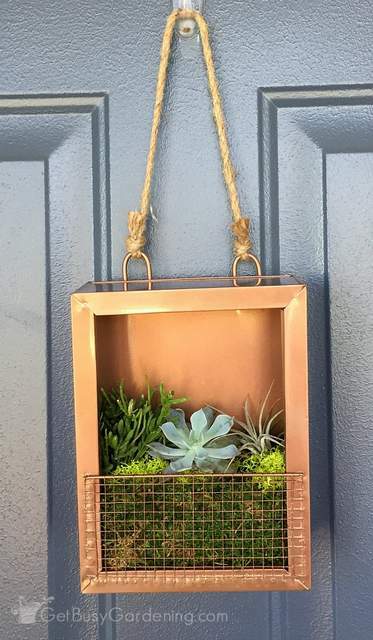 Watering succulents hanging on a wall is definitely going to be different than watering succulent planters sitting on the ground. To water a succulent portrait like this one, you can simply pour the water into the planter at the base of the plants, and allow it to drain completely. Use a watering can or gentle stream of water from the hose so you don’t disturb the soil. If growing your succulent portrait indoors, then you should take it down from the wall and water it over a sink or tub. That way the excess water can drain without any risk of spilling on your wall, furniture or carpet. Allow the water to drain completely, and wipe any remaining drops of water off the frame before you hang it back on the wall. Succulents don’t need a lot of water, so be careful not to overwater your succulent portrait. Stick your finger about an inch into the soil to make sure it’s dry before watering. 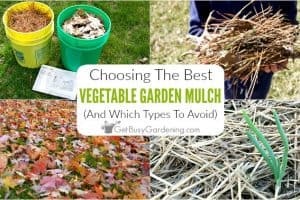 This is especially important for if it’s growing outside and gets watered when it rains. If the soil is damp, then wait a few days and check again. Vertical succulent art will need to be watered more during the summer months than in the winter, and the soil can also dry out faster when it’s growing outside. Succulents love being fed during the spring and summer months. I recommend using a natural fertilizer on your succulent art rather than harsh chemical fertilizers. Natural fertilizers work better anyway, and you won’t risk burning your plants. You can buy succulent plant fertilizer, or you could get a general purpose fertilizer so you can use it on your other plants too. 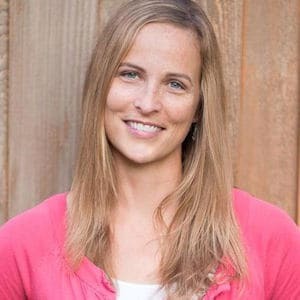 If you want to use a general purpose fertilizer, I recommend buying an organic liquid fertilizer like fish emulsion, liquid kelp, or compost fertilizer tea. Don’t fertilizer your living succulent picture during the fall and winter months, especially if you’re going to be overwintering it indoors. If you live in a cold climate like I do, your succulent art will need to be overwintered indoors. Bring it inside before frost in the fall, and keep the soil on the dry side. I found the perfect spot to hang mine in my office where it will get tons of light from a sunny window. If you don’t have a sunny spot put it in, you can hang a small grow light right above your succulent wall frame and direct it to shine on your plants (just like a light for a piece of artwork!). Learn more about growing succulents as houseplants in my succulent plant care guide. If you want to try your hand at growing your own living art, you can buy this cute succulent portrait online on the Jackson & Perkins website. 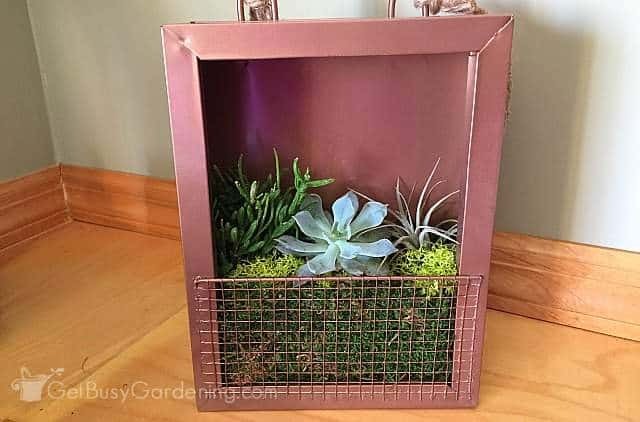 The succulent frame comes in two colors; mine is bronze and there’s also a silver one. A living succulent portrait makes a wonderful focal point, and adds life to dull spaces. It’s more than just a vertical succulent garden, it a piece of living art! And the best part is that it will grow and change over time, making it even more unique. 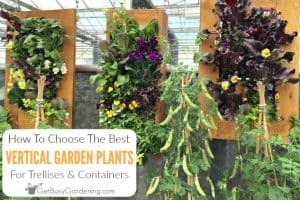 Want to step up your game and learn how to create beautiful edible living wall art, and all about growing vegetables vertically? 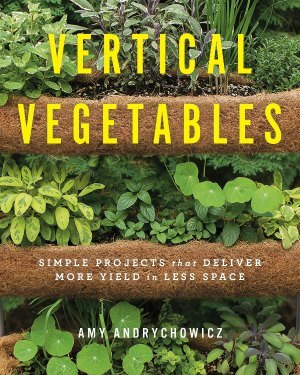 Then you need my new book, Vertical Vegetables: Simple Projects That Deliver More Yield In Less Space! 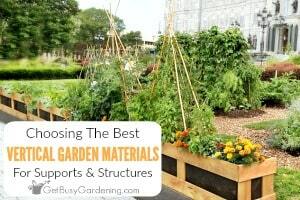 In it you will learn all about vertical gardening, including types of vegetables to grow, care and design tips, and how to build nearly two dozen beautiful vertical gardening projects (including a few unique pieces of edible living art!) step-by-step! Order your copy today! 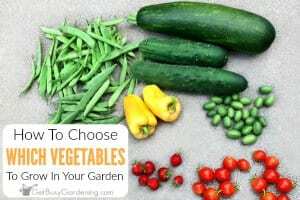 Learn more about my new Vertical Vegetables book. 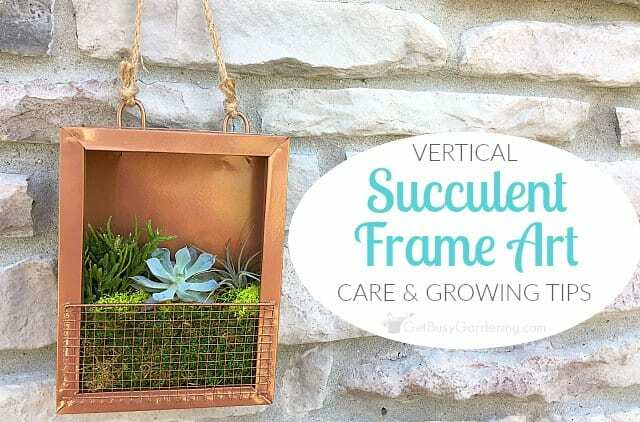 Share your care tips for growing vertical succulent frame art in the comments section below.